Sochi grew up in New York City and Ottawa and is currently based in Toronto. She was most recently seen on stage at Summerworks in a brand new Canadian play called Seams, which garnered special recognition from NOW Magazine. Previously, Sochi performed in Modern Times Stage Company/ Aluna Theatre's critically lauded and Dora Award-winning production of Blood Wedding. Other select theatre credits include:Identity Crisis (Hibernian Hall in Boston); Antigonick (Summerworks 2014); The Summer Spectacular (Small Wooden Shoe); Parts to Whole (One Little Goat); Stencilboy and Other Portraits (Next Stage Festival 2014);The Misanthrope (The Guild Festival Theatre); The Charge of The Expormidable Moose (One Little Goat); A Midsummer Night’s Dream (Citadel Theatre). Sochi is a graduate of the Citadel/ Banff Centre Professional Theatre Program, Ryerson University’s Theatre School, and the American Musical and Dramatic Academy. She was a member of Labyrinth Theater Company’s (NYC) Intensive Ensemble in 2013. In the Spring, Sochi will be performing in Lisa Codrington's new play Up the Garden Path with Obsidian Theatre. She is thrilled to be working with Shakespeare BASH'd again, having played Lady Capulet in their 2013 production of Romeo & Juliet. James is making his Shakespeare BASH'd debut and is very excited about it! Favourite credits include: 52 Pick-Up (The Howland Company), NSFW (Studio 180), Titus Andronicus/As You Like It (CanStage), New Jerusalem (Harold Green Jewish Theatre), South Pacific (U.S. National Tour), Much Ado About Nothing (Shakespeare Theatre Company, D.C.). Other media: Murdoch Mysteries (CBC) He is a graduate of Northwestern University in Chicago and a founding member of The Howland Company. 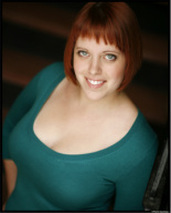 ​Megan is an actor, occasional stage manager, and puppeteer originally from the booming metropolis of Smiths Falls. She is co-founder ofShakey-Shake and Friends, a puppet Shakespeare company bringing laughs, mayhem, and the Bard to kids across Toronto. She is a graduate of George Brown Theatre School. She is incredibly excited to be back with Shakespeare Bash'd for her second production! Thanks to James and Julia for bringing her along on this crazy adventure and to Thomas for putting up with her. 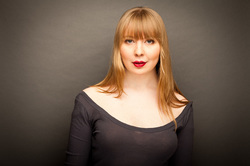 Julia is a Toronto-based actor and producer, currently acting as the Artistic Producer of Shakespeare BASH'd, where she has produced all of the company's sold-out productions. She has worked as the Managing Director of Theatre Columbus and is now part of the team at The Theatre Centre, as the Box Office & Front of House Manager. 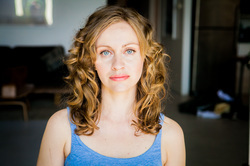 As an actor, Julia has performed the title roles in Daniel MacIvor’s See Bob Run (Theatre Caravel), and 2012 Best of Fringe winner The Taming of the Shrew, as well as it's 2015 remount (Shakespeare BASH’d), as well as the appearing in the critically acclaimed Shakespeare BASH'd productions of Much Ado About Nothing, Love's Labour's Lost, The Merry Wives of Windsor, Macbeth, and Romeo & Juliet. She is a member of the Advisory Board for the Canadian Stage GYM program and a graduate of the joint acting program at UofT and Sheridan College. Catherine is thrilled to be a part of this company’s season and honoured to be working with such an incredible group. After co-directing The Merry Wives of Windsor with James at the Fringe, she is excited to hit the boards (or the bar floor, whatever that may be made of) again. Past BASH’d credits include: The Taming of the Shrew and Love’s Labour’s Lost. Huge thanks to the lovely James and Julia for being such amazing creators and all around good humans. They are wonderful to work for and with. I love them both. Lesley is thrilled to get to work with Shakespeare BASH’d and to play a Shakespearean KING (two glorious “first”s!). She is a graduate of the George Brown Theatre School, Queen’s University, and U of T (M.A. in English Literature). She has particular interests in comedy, classical theatre, and beer. Selected Credits: Nine Mile Portage (TBTB), Mary Ann in Escape From Happiness (Alumnae), Constance in Goodnight Desdemona (Good Morning Juliet) (Hart House), and Julia in Two Gents (SITR). Lesley is also a co-creator of Theatre Inamorata: www.theatreinamorata.com. Caitlin Robson hails from Barrie, and studied acting at the University of Waterloo. Since arriving on the Toronto indie theatre scene last year, she has been fortunate to be part of many excellent and acclaimed productions. Credits include: Frosya in Seams (SummerWorks, Paprika Festival); Anna in Karenin's Anna (TO Fringe); Judith in Equivocation (Persephone Theatre, Saskatoon). David's filled with joy and horror as he takes on Hubert, yet another character who ... well, you'll see. Luckily he's supported by Wally, Julia and this amazing ensemble as he navigates that dark road ! Past Shakespeare BASH'd roles include : Macbeth; Don Adriano de Armado - Love’s Labour’s Lost; Capulet - Romeo and Juliet; Don Pedro - Much Ado About Nothing; Grumio, Vincentio - Taming of the Shrew. Other credits include : Mercury Fur (Seven Siblings); Richard III (Shakespeare in the Ruff); Brave Hearts (Harry Warren Theatre, Brooklyn); Waiting for Godot; I Had a Job I Liked. Once. (Sudbury Theatre Centre); Wild Abandon (Theatre Caravel); Romeo & Juliet (Signing the Bard, Kennedy Cathy MacKinnon); Frankie & Johnny (Apuka Theatre); Half Life; Two Gentlemen of Verona; As You Like It (Brampton Theatre Festival); King Lear (Hart House); Macbeth (Classical Theatre Project). After leaving his engineering career and his hometown Mennonite community, David trained in the University of Windsor’s BFA Acting Program. As always, he would like to thank his family and friends for their support of his wonderful career! Matt Shaw is a Toronto based Actor/Writer/Netflix-Binge-Watcher. He is thrilled to be working with Shakespeare BASH'd on such a rarely performed gem out of Shakespeare's canon. Past theatre credits include Nine Mile Portage and Macbeth with Theatre By The Bay; Twelfth Night and The Merchant of Venice with Ale House Theatre; The Importance of Being Earnest, The Country Wife, and Ring Around The Moon with George Brown Theatre School. Film credits include the music video for In The Morning by The Trews and Serena Ryder, and Specter, an upcoming Sci-fi web series currently under production. Tim recently played King Edward II in the BASH’d staged reading of Marlowe’s Edward II. A Toronto native, he recently returned from England after completing his Masters at the Royal Central School of Speech and Drama. While in the UK, he appeared as Vershinin in Three Sisters (CSSD), Sir Andrew in Twelfth Night (Rose Theatre), and as part of The Bowl ensemble at the Young Vic Theatre. He also performed in a national tour of Austria with a production of Around the World in 80 Days (Vienna’s English Theatre). 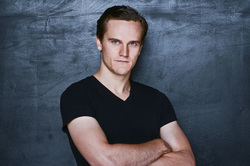 Selected stage credits from Canada include Life is a Dream (Canadian Stage), The Dwarfs (SummerWorks ‘08), When the Rain Stops Falling (Timms Centre), This is Where We Live (SummerWorks ’15) and Crookback – his solo adaptation of Shakespeare’s Richard III. Tim is also a recent Theatre Ontario PTTP grant recipient, where he mentored alongside Ian Watson at both Ryerson and NTS. Visit him online at timwelham.com. 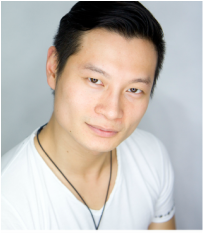 Jeff Yung is a Toronto based actor, storyteller, and spoken word poet. Over the summer Jeff finished a successful remount of the DORA Award Nominated Monday Nights, and most recently played Xiao Ping in a workshop performance of Comfort, a brand new piece by Diana Tso. Jeff is excited to be working with Shakespeare BASH’d once again, alongside this incredible group of artists. Previous works include: And Now, The End (anteUP productions), The Story (Theatre Columbus), Radical (Gruff Pyg), Romeo and Juliet (Shakespeare BASH’d), Pu-Erh (k’NOW Theatre), Banana Boys (fu-Gen Theatre), and The Forbidden Phoenix (YPT, MTYP). When not performing in the arts, Jeff is an avid baller, martial artist, and film/tv/anime junkie. In 2010, James founded Shakespeare BASH’d in order to take responsibility for his creativity by producing the plays of Shakespeare and his contemporaries in the city of Toronto. For the company, James has directed staged readings of Romeo and Juliet (2010), A Midsummer Night’s Dream (2011), and Edward II (2015), as well as the full productions of Romeo & Juliet, Love's Labour's Lost, Macbeth, and The Merry Wives of Windsor. He played Petruchio in the company's Best of Fringe winning production of The Taming of the Shrew in 2012 and the remount in 2015, and played Benedick in their sold-out production of Much Ado About Nothing in the 2013 Toronto Fringe.